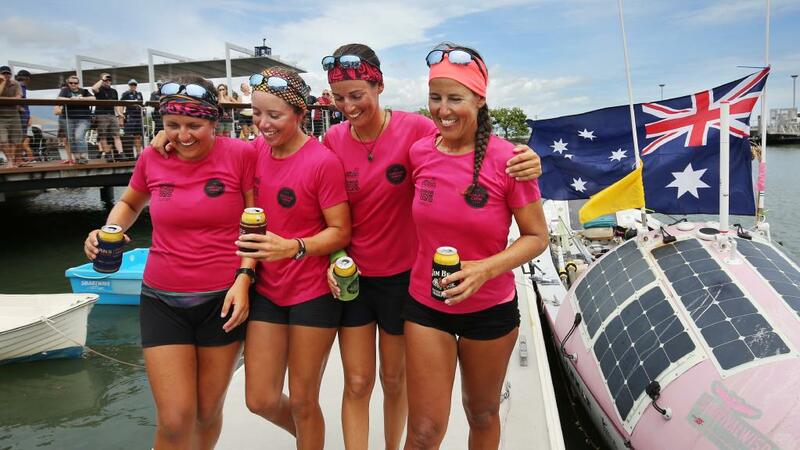 Losing Sight of Shore is the documentary of the Coxless Crew, four girls who broke four world records rowing 8000 miles across the Pacific, from San Francisco to Australia in support of two charities. The journey started in April, 2015 after four years of training, planning and preparation, and was expected to take six months. Due to many unanticipated setbacks this successful journey took nine months, 50% longer than expected. These amazing women found the challenge unresistable, 90% mental as opposed to physical. A life changing experience from getting so far outside their comfort zone. We all have our own Pacific to cross. The journey will be longer and harder than you think. There will be stretches that test you to the point of failing, so just keep going. When you start focusing on the finish rather than the journey you will only make it harder on yourself. Greatness is achieved in the journey. The journey will teach you that you are able to achieve anything you want in life.